Can Traditional Policy and Regulatory Frameworks Satisfactorily Address the Internet’s Public Policy Issues? The Internet has largely transformed the manner in which we build relationships, communicate, and innovate. It has also changed how we define and build wealth. For example, look at how Bitcoin is disrupting the existing financial system. Also take into consideration the fact that many successful tech companies have little to no physical assets or property — their market value is based on their technology platforms and the data held within them. These changes are necessitating a move away from traditional approaches to public policy and regulation, from human rights to intellectual property to national security. As such, I do not believe that traditional policy and regulatory frameworks are able to address the Internet’s public policy concerns in a satisfactory way. Traditional frameworks were generally led by governments and focused on the underlying telecommunications infrastructure. WSIS made it clear that Internet governance, regulation, and policy are not restricted to the activities of governments and that many different types of stakeholders have a role in defining and carrying out Internet policy and regulation activities. Thus emerged new terminology such as ‘multistakerholderism’. The activities related to Internet regulation and public policy are varied in nature, and include such areas as open standards development, deployment and operation of critical infrastructure, development, sector regulation, and legislation (data protection, intellectual property, cybersecurity, etc. ), and several others. While governments play a role in some of these areas, there are a number of other stakeholders that address the various policy and regulatory concerns associated with the Internet. What is unique about the Internet is that innovation ‘occurs at the edges’. Hence, the value is no longer in the network (as with traditional markets and associated policy and regulatory responses), but in devices, applications, and services. Unfortunately, policy and regulation have been slow in catching up to this change in market structure. So the key message here is that technology constantly changes, and policies and regulations that are premised on a set of technological “facts” are rendered ineffective when those facts change. 1. Special regulations may be needed to prohibit, restrict, promote, or coordinate use of an emerging or new technology platform (e.g. IoT, RFID, DPI, etc.). 2. Existing laws may have to be clarified with regards to how they apply to activities, relationships, or processes that have been changed by technology (e.g. data privacy, data collection, online surveillance, etc.). 3. The scope of existing legal rules may be inappropriate in the context of new technologies. 4. Existing legal rules may become obsolete. Often times, new technologies will have little to no negative or disruptive effects. In other instances, they may only relate to a few of the aforementioned issues. Yet examples of each type of problem can be found in the context of diverse technologies. In some legislative corners, there are calls for technologically neutral drafting as a ways and means to future proofing law. Still, this will not prevent some laws from being ineffective or operating unfairly in light of a constantly changing technology landscape. I think that a better approach for dealing with ‘law lag’ is to focus on how the legal system holistically addresses technological change. We should examine the respective roles that administrative bodies, national courts, tribunals, law reform bodies, and other entities play in helping the law adapt to rapid technological change. A small example is the Queen’s Bench Division Technology and Construction Court in the UK, which deals principally with technology and construction disputes. References to ‘law lag’ can often times be used as a convenient excuse to avoid serious discourse around the regulation of science and technology. 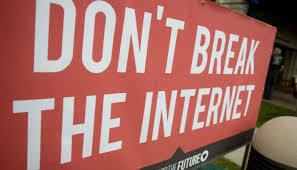 For example, those that scream, “The Internet cannot be regulated” are conveying a sense of anarchy and implying that the Internet evolves all on its on, and changes too quickly for policy or regulation to be applicable. This is a questionable assumption in my opinion. There are also some cases where ‘technology lag’ can be observed. For example, the broad deployment of renewable energy technologies has been stymied due to policies and regulations that protect the entrenched fossil fuel-based systems. Another area is where technological improvements in automotive design have been driven by litigation and the advocacy of the legal community and consumer advocates as opposed to engineers. This is not to say that deficiencies in the law can’t be corrected by an amendment to existing legislation. The concern is more about the timeliness and overall quality / effectiveness of amendments. An amendment for one has to be fit for purpose, and not fix one issue while causing problems in other areas. One also has to look at legal flexibility and determine whether or not to incorporate new rules into common law as opposed to implementing more rigid statutory laws. Access to specialist skills and information is also key to ensuring that laws are not created by groups that don’t understand the complex issues at the intersection of technology, policy, and business (and as such negatively impact one or more stakeholders with errant changes to legislation). ← Can Bitcoin be Regarded as “Money” for Legal Purposes?